Building a website can seem like the most stressful element of your business. However, it does not have to be! Virteom is a technology and marketing firm that specializes in developing websites and applications for all types of companies. Working with Virteom makes developing your site a piece of cake. We have a variety of different boosts and packages to really customize your experience, but we always start with a client discovery. 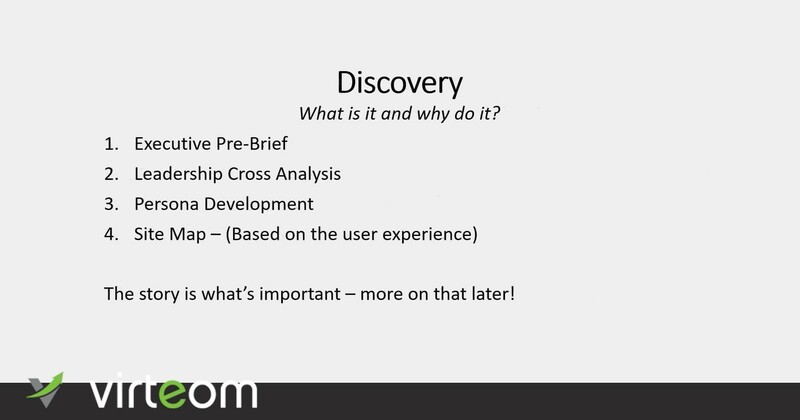 Our Discovery consists of an executive pre-brief, leadership cross analysis, persona development, and site map creation. 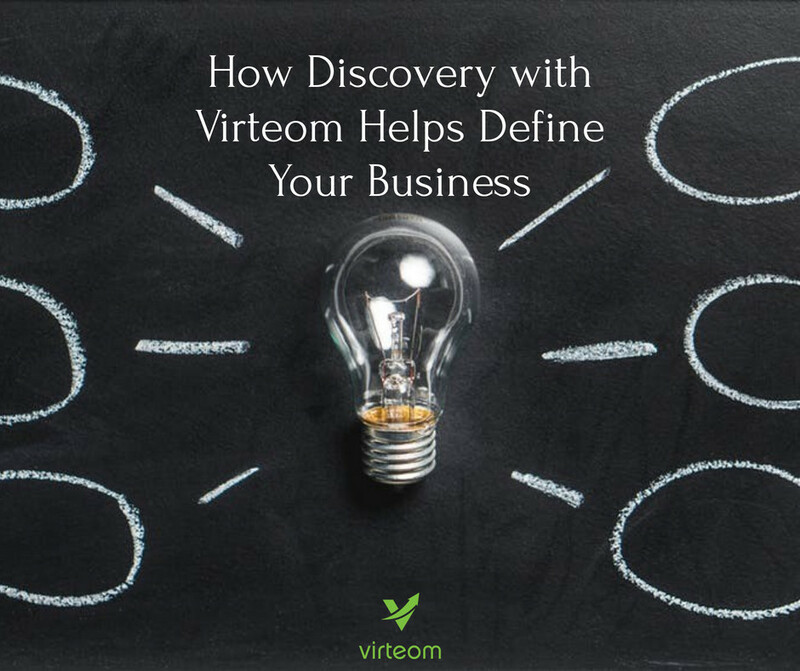 These steps help us streamline your experience at Virteom and allows us to develop the product you want! The executive pre-brief is the first step of our process where we take all of the leaders in your company, and we individually have them fill out their answers to our discovery questionnaire. Once everyone has their responses in, we then do a cross-analysis of on each of the sections with the leaders. This step really allows everyone to be on the same page, and that is essential for developing an app or a webpage. Then there is the buyer persona. You must define the buyer persona before developing anything for your business! If you do not know who you are selling to, how could you build a website without knowing who you are gearing your information towards, or pricing, or even the layout? About 98% of our clients that come to us for discovery do not know how to define their buyers. The buyer persona helps us at Virteom map out your site. This way we can gear each page to better aid your customers so that they feel that they are in the right place. Without discovery, you would most likely experience a lot of redos. Discovery allows us to put it all down on paper which helps our clients see what we will be making for them before we make it. This not only saves us time and money but it saves you time and money and the headache of waiting for a product which ends up not being what you thought. Discovery allows us to make exactly what you want, the first time. If you have any questions about how we can help you and your business or about our discovery process, contact us today!